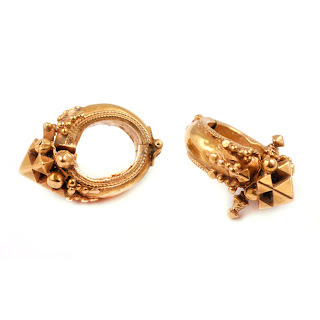 Check out these gold earrings Lori Leven found and brought back from India. I bought them for Mia's birthday last year (2009) from...yep you guessed it, New York Adorned. Aren't they pretty? 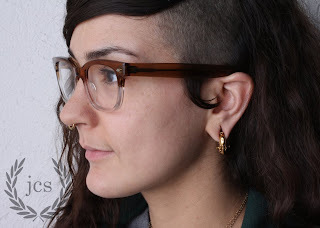 Mia is also wearing a 10 gauge 18 karat yellow gold "seamless" ring in her septum. Looks so good! Aw, those are pretty. jealous.